Announcing Our Mock Newbery Winner! The 2017 KCLS Mock Newbery winner is... The Wild Robotopens a new window by Peter Brown. The real Newbery winner will be announcedopens a new window on Monday January 23. 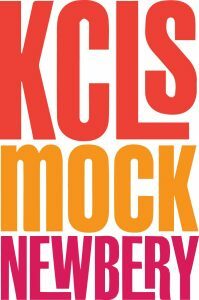 What is Mock Newbery? Each year, a committee of KCLS children's librarians creates a list of strong Newbery contenders. We invite the public to read these books and discuss their literary merits. Then we vote to see which book will be crowned our local Mock Newbery winner. Rating and commenting on the books on our list in bibliocommons. Checking out some past winners. The Newbery has been awarded since 1922, so a fun idea is to see what won the year you were born. Do you have a favorite Newbery winner? Let us know in the comments.